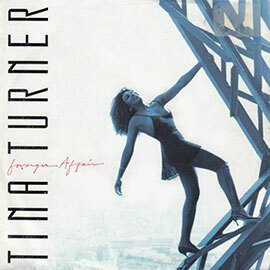 "Foreign Affair" is a single from Tina Turner's album "Foreign Affair". The song was written by Tony Joe White. It is an up-tempo song which we could see as pop, poprock and popsoul. The song is about an affair in the South of France. You even could say a foreign spring romance. They made a videoclip for the song, and it shows a strong man and sensual woman making love during their romance. Tina Turner performed it a couple of times on several shows, for instance on Countdown and during an award show in Germany called Goldene Europa. 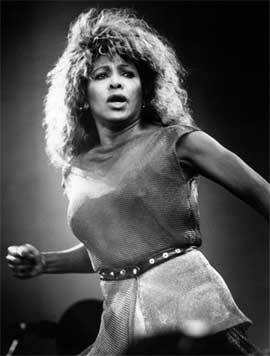 Tina also performed it live during her Foreign Affair Farewell Tour 1990 and What’s Love Live Tour 1993/1994. Tina’s wild choreography and energy blows the song into your body. 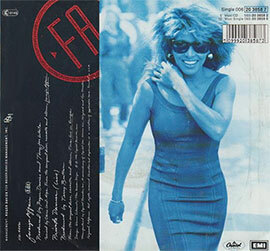 The single was released in 1990 in European countries only in different formats. 7", 12", cd, cassette. 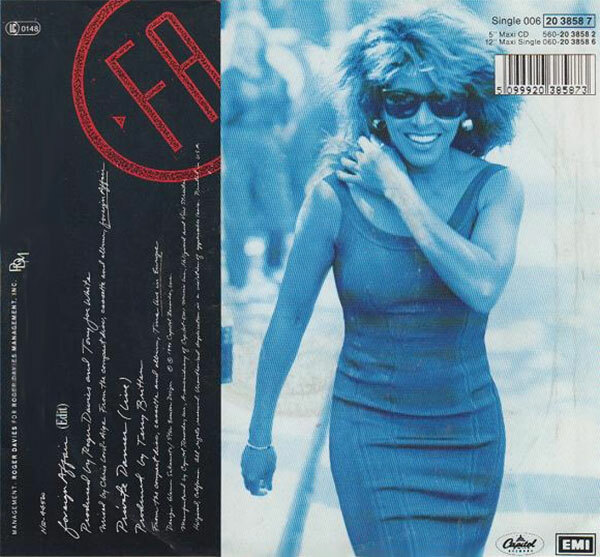 They also involved Shep Pettibone to make remixes of the song "Foreign Affair", which were separately released on 12" and cd. The official B-side of the regular 7" single was a live track from "Private Dancer". "Private Dancer" is song about a dancer, who could be a classical dancer, stripper or even a prostitute who considers herself as a private dancer for money. She gives us a piece of her mind and her loneliness and emptiness inside. That even she has feelings and dreams to look forward too. Album version – 4.27 min. Special Feelings Mix – 4.43 min. Special Feelings Instrumental – 4.43 min. One in a Million Club Mix – 6.54 min. One in a Million Extended Mix – 7.19 min. Heartbeat Mix – 4.24 min. Heartbeat Edit – 4.00 min. Heartbeat Instrumental – 4.25 min. - Live - 5.35 min.